Transport group Stagecoach has launched a new network of low-cost coach services from the UK to Continental Europe – and revealed it was already investigating the potential for a cross-Channel sleepercoach. The Group’s budget coach operator megabus.com yesterday started running daytime and overnight coach services between its main hub in London and destinations in France, Belgium and the Netherlands. Passengers can travel to Paris, Brussels, Amsterdam and Boulogne on a new £2.5m fleet of state-of-the-art coaches equipped with free wi-fi and toilets. There is also a dedicated Paris-Brussels-Amsterdam service. An interchange at London Victoria Coach Station also offers through services to and from locations in Scotland, England and Wales. Sir Brian Souter, Stagecoach Group Chief Executive, said: "We launched megabus.com in Scotland nine years ago and it has already transformed inter-city travel in the UK and North America. With the rising cost of living, rocketing fuel prices and running a car becoming more and more expensive, everyone is looking to make their money go further. "For too long, people in many parts of Europe have been paying too much for their coach travel. Our new network offers families, students and tourists great value fares and high-quality coaches. These services will deliver a long-overdue shake-up to the over-priced European coach travel market." Stagecoach also revealed that it is investigating the potential for a sleeper coach service between the UK and Europe. 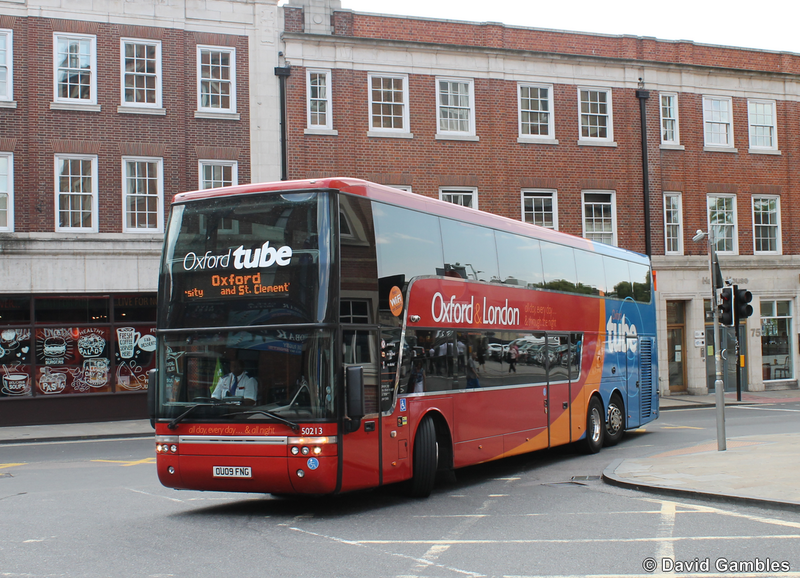 'Oxford Tube' service to London. The company is working in partnership with Belgium manufacturer Van Hool on a 15-metre concept vehicle, based on its Astromega double-decker coach. Van Hool already manufactures double-decker coaches used on the Group’s megabus.com services in the UK and North America. Astromega double-decker coaches are also used on Stagecoach’s Oxford Tube, Europe’s most frequent express coach service running up to every 10 minutes, 24 hours a day, 365 days a year. Current designs would see the sleepercoach fitted with 48-seats and tables for use during the daytime, which could be converted into 43 bunks on overnight services. megabus.com already operates a sleepercoach service between Glasgow and London seven nights a week, using specially-refurbished single-deck articulated coaches.